2 layer board of 1.16 x 1.00 inches (29.4 x 25.4 mm). Uploaded: February 6th, 2017 23:36. The Atari SIO port runs at a 5V logic level. 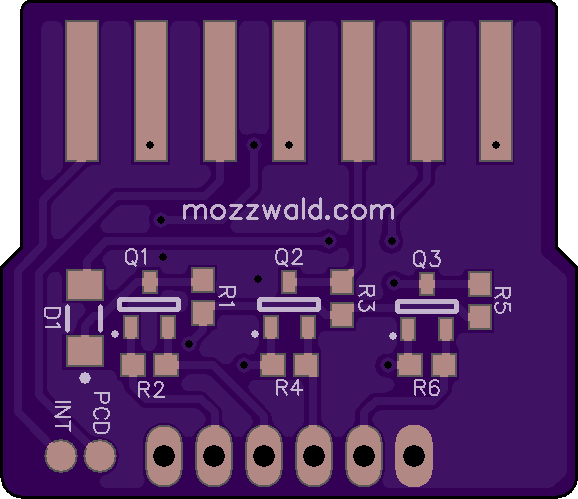 This board does down level shifting for connecting the Atari Data-In, Data-Out and Command lines to a microcontroller, Raspberry Pi or other device using logic levels less than 5V. 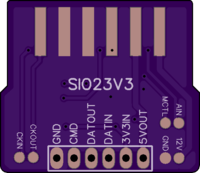 OSHPark boards are only 1.6mm thick which requires adding solder to the Atari SIO pads so they make contact with the pins. I don’t know exactly how much is needed, but it took several tries of adding more to get it just right. 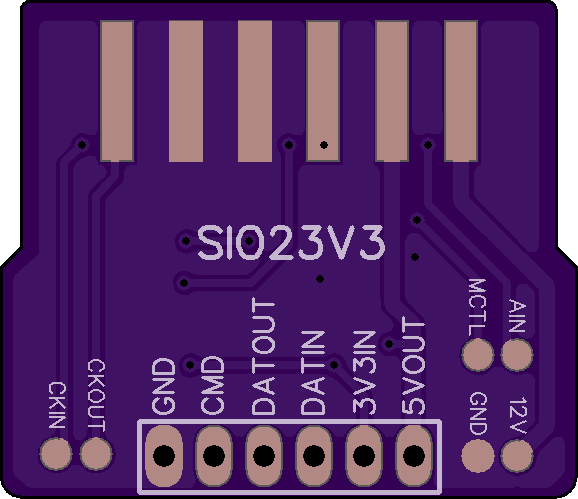 So far, I have tested this board on my Atari 400 connected to an ESP-01 (esp8266, 3.3V). The Atari 400 5V output was able to keep the ESP-01 powered (thru a 3.3V voltage regulator) and connected to a bbs via telnet over Wifi using this modem emulator code. 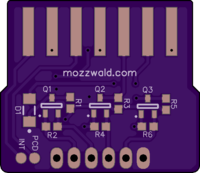 The remaining pins on the Atari SIO port are routed to test point pads on the board for experimenation. Keep in mind, these pads are directly connected to the Atari (no level shifting).